If you have a child with autism, it probably won’t come as a shock to hear that children with special needs are more vulnerable to bullying than their neurotypical peers. An inability to recognize and understand social cues, difficulties with socialization, repetitive behaviors, and sensory sensitivities make children with ASD an easy target, and the long-term effects can be devastating. According to the 2012 IAN (Interactive Autism Network) research report, a total of 63% of 1,167 children with ASD, ages 6 to 15, had been bullied at some point in their lives, and with the prevalence of autism diagnoses on the raise each year, one can only assume that number continues to increase. Of course, bullying happens in many different ways. From physical abuse and property destruction, to verbal threats and deliberate exclusion, bullying isn’t always visible to the naked eye, which is why it is so important for parents and teachers to look for warning signs and find ways to intervene when needed. A child who is repeatedly bullied will undoubtedly develop long-lasting insecurities and low self-esteem, and the feelings of stress and anxiety they develop in response to being tormented at school may make children avoid social situations and become withdrawn and depressed. 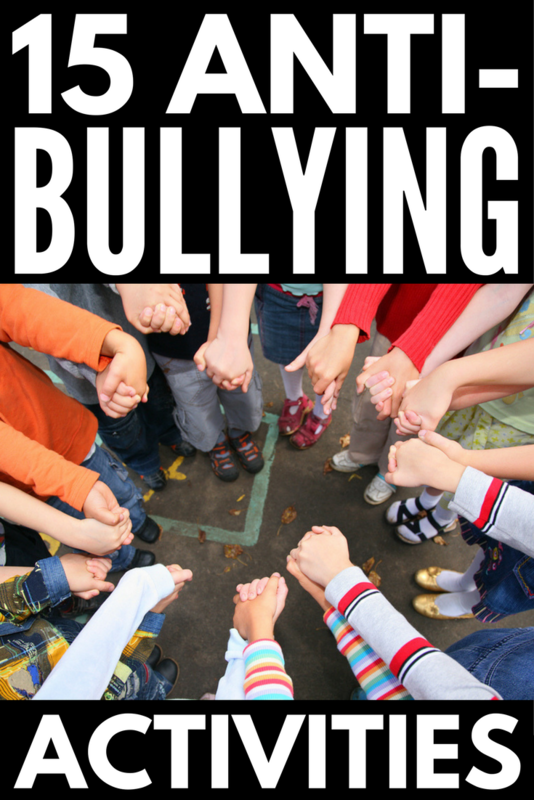 How can we stop bullying in its tracks and prevent it from happening again? Sadly, the answer isn’t that simple. 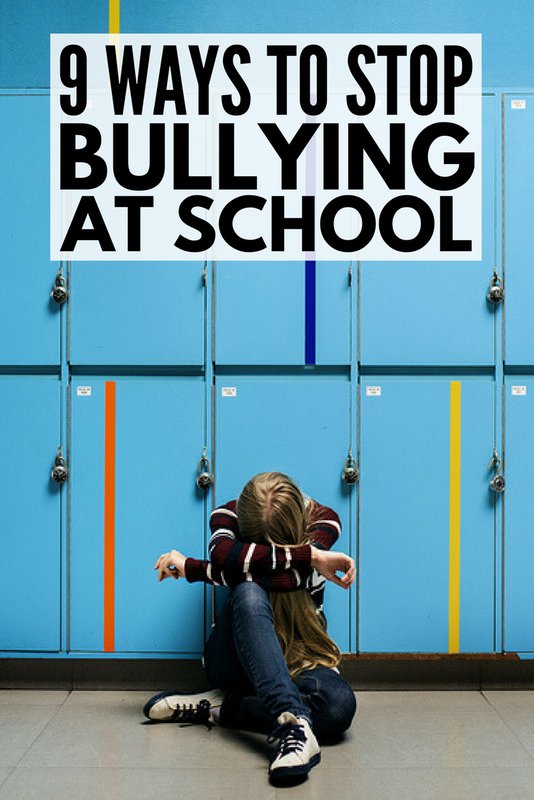 While there are certainly ways to stop bullying, the behavior doesn’t typically dissipate overnight, and you may need to try a combination of several different tactics before you see an improvement. Does your child try to find ways to get out of going to school? Is her clothing dishelved when she gets home? Have some of her possessions mysteriously gone missing? Does she seem more quiet or distant? Is she more anxious, stressed, or depressed than usual? Has she lost an interest in the things that used to bring her joy? Does she avoid social situations more than usual? Educate! One of my favorite ways to prevent bullying in school is to go straight to the source – our children! There are so many fun anti-bullying activities for kids floating around the internet these days, and I feel they should be incorporated into our children’s curriculum to help raise awareness about bullying and provide kids with the coping skills they need to speak up when they are being treated unfairly. Talk to your child’s teachers, ask them what their education policy is with regards to bullying, and don’t be afraid to get involved! Volunteer in your child’s classroom and offer to organize age-appropriate anti-bullying activities. I’ve found 15 fabulous ideas, which I’ve included at the end of this post! Write a social story. Social Stories can be helpful in getting your child to feel less alone when she is being bullied. Understanding that other children are bullied too, and knowing how to react when someone is bullying her will make her more like to open about to you about what’s going on at school. It’ll also give her the tools she needs to stick up for herself when it happens again. Here are 21 templates and apps to help you write social stories for your child. Seek professional help. As much as we want to solve our children’s problems ourselves, sometimes it’s better to seek the help of a professional. Your child might feel more comfortable opening up to a therapist about some of the struggles she’s having with her peers, and she may come away feeling more validated and in control knowing someone else is in her corner. Bullying can significantly impair a child’s self-esteem, leading to life-long insecurities and struggles with anxiety and depression, and it is up to you as a parent to pay attention and intervene when necessary. Does moving to a new school seem drastic? Perhaps. But if it means protecting your child from a life riddled with feelings of worthlessness, why wouldn’t you consider it? Randi Weingarten once said, ‘You can’t be against bullying without actually doing something about it’, and while my hope is that you can stop your child’s bullies in their tracks, don’t be afraid to be the change your child needs. Listen to what she doesn’t say, stick up for her, and make it your mission in life to protect her self-worth. If you found these tips to teach you how to prevent bullying of kids with autism helpful, please share this post on Pinterest! And if you’re looking for more special needs parenting advice, please follow our Autism board where we share all kinds of fabulousness ideas!